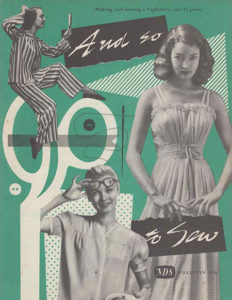 This week in our “And so To Sew” series, leaflet 11a will teach you how to sew a nightie without using a pattern and how to sew pyjamas from a commercial pattern. We also build on your library of techniques with frills, casings, machine sewn felled seams and sewing a collar and facing in one step. 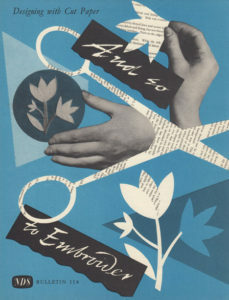 In “And So To Embroider” leaflet 11b, we learn how to design and edit embroideries using cut paper. How to vary the look of the same design by using different stitches, appliqué with a couched edge and make a notebook holder. As always, I have added modern video or photo tutorials to each page for my fellow visual learners. We still have a long way to go with the “And So To” series of bulletins! Make sure to visit every Tuesday (Australian Eastern) for new sewing and embroidery content, every Thursday for the week’s “Favourite Thing” (it could be anything, this week it’s a whole tutorial! 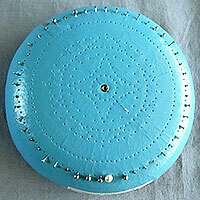 ), and every Saturday for a new knitting pattern. 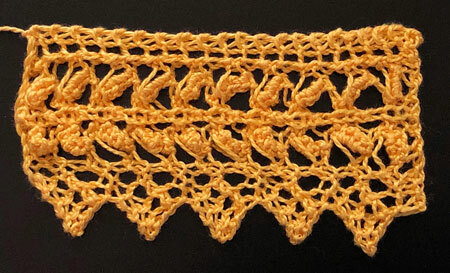 This week’s knitting pattern is a lace edging I have named “Narracoorte Lace“, after the newspaper it was first published in, in 1890. As always, I have updated the pattern into modern knitting terms, charted it and tested it for errors. Despite it’s complex looking design, narracoorte lace is only 17 stitches wide and 10 rows long, making it really good value for your effort! 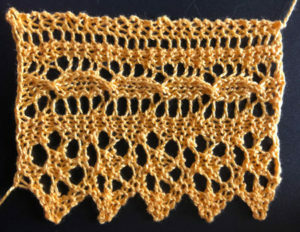 There are now over 183 edging and insertion patterns on Knitting-and.com and they can all be found on the “Lace Collars, Edgings and Insertions” pages. (I include collars because they often make great edgings too). If you’re ever looking for a perfect finish to your project, check them out! 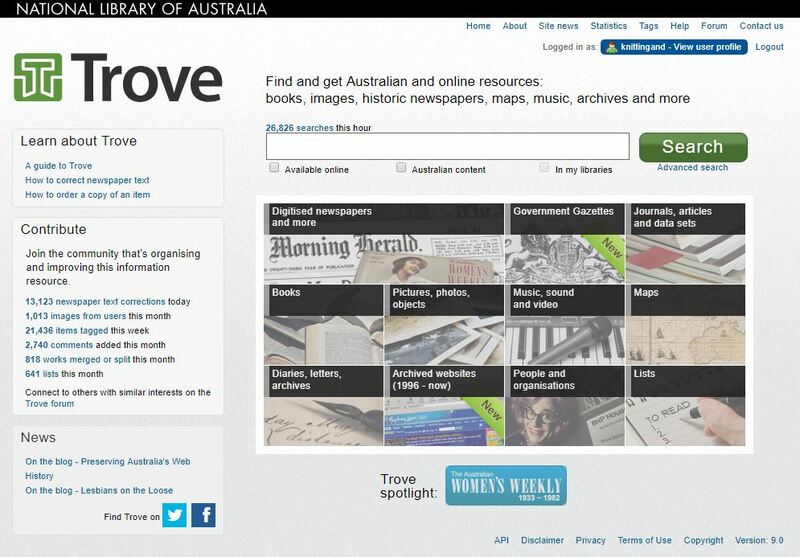 Today’s “favourite things Thursday” is all about Trove, the online Archives of the Australian National Library. You can search many of their collections, but for me the great forgotten treasures lie in the newspaper and magazine archives, the pictures, photos and objects archive and the diaries and letters archives. Whether you want to learn about the jazz knitting craze of the 1920’s, embroider a bin chicken, or read thank you letters from wounded soldiers in World War 1, to the girls who knit them socks (and a knitting pattern). You’ll find what you’re looking for. a recipe for Mugly from 1890, which I cooked, ate and updated the measurements for modern cooks. If you’d like it updated for modern tastes as well, here’s a recipe for Lebanese meghli (also known as mughli or moghli) which has a lot more flavours that I wish I could eat right now. This knitting pattern for a fair-isle coat from 1924. 1920’s jazz knitting at it’s finest, I think! I hope you’ve enjoyed this little look into just some of the treasures you can find in the Trove archives. Let me know what you find in the comments, or if there’s something you’d like to find, let me know!